Every morning and afternoon at The Mount, students, faculty, and staff come together in prayer. Though the message is always different, the prayer always begins by reciting intentions for Mount men serving in various capacities around the world. Among the names prayed over each day are five Gael graduates who are currently in priestly formation. The seminarians, James Lancelotta ’89, Tommy O’Donnell ’11, John Bilenki ’13, and Stephen Kirby ’17 of the Archdiocese of Baltimore and Caleb Gaeng ’14 of the Archdiocese of Washington, each chose to pursue a vocation to the priesthood at different points in their lives. However, they all distinctly recognize the influence their experience at Mount Saint Joseph had on their decisions. James first felt the calling to the priesthood as a student at The Mount. “During my time at Saint Joe 30 years ago, the Lord planted the seed of my vocation,” he remembers. “I can recall many times thinking of the priesthood during my senior year in 1989. 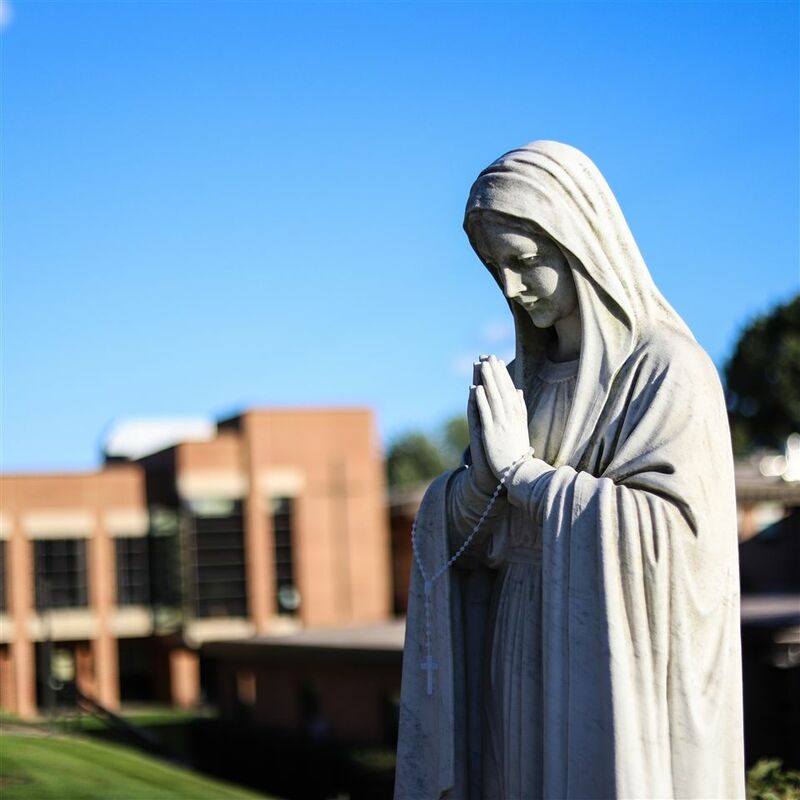 After leaving Saint Joe and beginning college, a lot of life happened, and I stopped taking my faith seriously.” Eventually, he found himself being led back to the Lord amidst personal drama. He attended Mass at Saint Joseph’s Monastery and reconnected with Father Mike Murphy ’82, who helped him heal and rekindle his faith in the merciful Jesus. Brother James died about six months after Tommy graduated, and his funeral was the first time Tommy seriously considered becoming a priest. For Caleb, the realization of his true calling did not come until years after graduating from The Mount. While he felt tremendously supported and encouraged in his faith by the Mount Saint Joseph faculty, the priesthood never crossed his mind. In fact, as he entered college he felt as if he was living a double life, attending Mass every Sunday but struggling to live in his faith outside of Church. While their experiences and interactions with faculty and staff at Mount Saint Joseph were instrumental in their decisions to enter the seminary, these five alumni know The Mount’s influence does not end there. They are also comforted in the noticeable similarities between their high school years and this new educational endeavor – from the emphasis on personal relationships to the encouragement of consistent, daily prayer. The experience, though made easier through the support of their fellow seminarians, is not without its challenges. “It’s easy enough to say, ‘Lord, you can have me and my entire life; I will do your will,’ when you think that He’ll just toss out the old you and suddenly give you a new and improved identity,” explains Tommy. For James, the most challenging aspect has been going back to school. Returning to the classroom after 28 years and writing long philosophical papers has proved difficult for him. “Although, anything is possible with the Lord,” he concludes. As each of these men would readily assert, we are all called to serve the Lord in some way. Spend time in prayer, they advise. “You’ll never know what God has in store if you never ask Him or give Him a chance,” says John. Article from The Mount magazine.